The Washington Post's story today implicated the Hillary campaign and the DNC as financiers of the "Dossier". But it is highly likely this is only a partial list. The timing of the leak to the Post is interesting. It comes just as the House Judiciary Committee is about to issue a subpoena for Fusion GPS's bank records. That would provide a complete record of who paid whom. There were rumors early on that the FBI paid Fusion GPS handsomely for access to these files and then used them as evidence for a FISA warrant. It seems the Post story is simply an effort to keep the heat off of the FBI. It is likely the firing of Comey has less to do with Hillary and more to do with surveillance and leaks of the Trump team, possibly including Trump himself. There was utter fear pervading Washington when it became obvious Trump would win the Republican nomination and possibly the election. He was threatening gutting agencies and closing down others. He was threatening the status quo. The media set out to destroy him. And there were others in government who felt the same way. Call it the Deep State or whatever, top level officials were more than concerned. Rules were bent especially with the FISA court. According to the Guardian, the UK’s GCHQ did provide information to NSA on the Trump team. The denials from NSA were that it didn’t request the information, but no mention of whether NSA had received any. The conventional wisdom is that the city fathers of big cities and gangs are at opposite ends of the spectrum. That may be true in many cities but it isn’t true in Chicago. The incestuous relationship between aldermen and gangs blurs the line between good and evil. The windy city currently has the highest homicide rate, most of it gang related, of any city in the US. 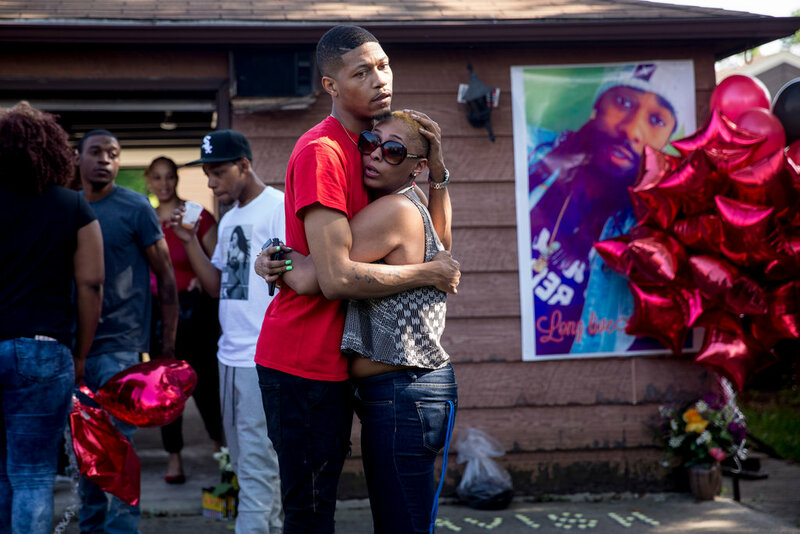 In August there were more killings, 90, than in New York and Los Angeles combined. And it is getting worse. Through August the body count was 472, almost equaling the full year 2015. 85 years of Democratic rule has left Chicago with a reputation as the most corrupt city in the US. It is well earned. Aldermen are kings (or queens) of their wards. They wield immense power. They control patronage jobs, zoning, city contracts, property tax reduction and permits in their wards. It is a graft friendly system. Naturally they are loath to give up their power and financial opportunities the position offers. And likewise challengers aspire to become aldermen for all the same reasons. Political allies are important to politicians such as newspapers, TV stations, the chamber of commerce, religious organizations and, you guessed it, gangs. It’s the Chicago way. Baskin, [a former gang leader and for several decades a community activist who now operates a neighborhood center that aims to keep kids off the streets was asked for help by local politicians and] … was happy to oblige. In all, he says, he helped broker meetings between roughly 30 politicians (ten sitting aldermen and 20 candidates for City Council) and at least six gang representatives. That claim is backed up by two other community activists, Harold Davis Jr. and Kublai K. M. Toure, who worked with Baskin to arrange the meetings, and a third participant, also a community activist, who requested anonymity. The gang representatives were former chiefs who had walked away from day-to-day thug life, but they were still respected on the streets and wielded enough influence to mobilize active gang members. The first meeting, according to Baskin, occurred in early November 2010, right before the statewide general election; more gatherings followed in the run-up to the February 2011 municipal elections. There is a lot more in the article, read it. Donald Trump has repeated the theme that Democrats have done little or nothing to improve the lot of African Americans in center cities. That is true. He promises to do better. But his speeches suggest Democratic politicians are practicing benign neglect. That is not the case in Chicago. They are destroying the city. They are selling out to the gangs to protect their own selfish interests. The conventional wisdom has been that Putin is behind it. But no one gives a reason he would want to tip the election from Hillary to Trump. Granted Russia has the capability to hack the emails, but so do dozens of other nations as well as malefactors in the US, both governmental and private. 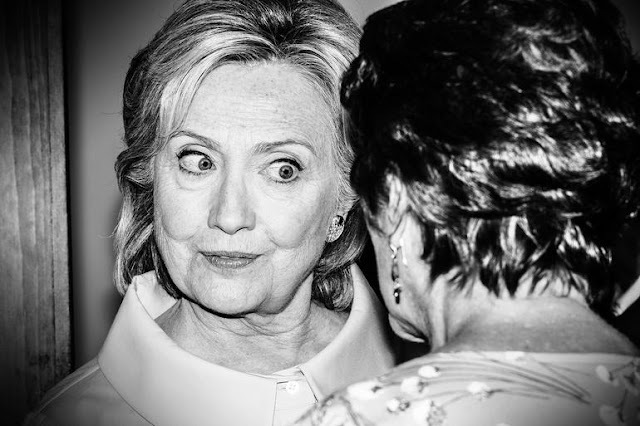 What is so intriguing is the timing of the release – late Friday afternoon, just two days prior to the opening of the Democratic convention – a time when most of the network news biggies had left New York and Washington for their summer homes. There was no one left who could scan the nearly 20,000 pages. Despite the media’s inability to digest the leaks, they went viral on the internet, especially on conservative websites. By Monday morning DNC chair Debbie Wasserman Shultz had resigned and the DNC was in turmoil. The leaks were skewed toward embarrassing the topmost levels of the DNC and demonstrating the bias of the DNC against Bernie Sanders -- this to build a divide between the Sanders and Hillary camps. And it couldn’t have been more successful. 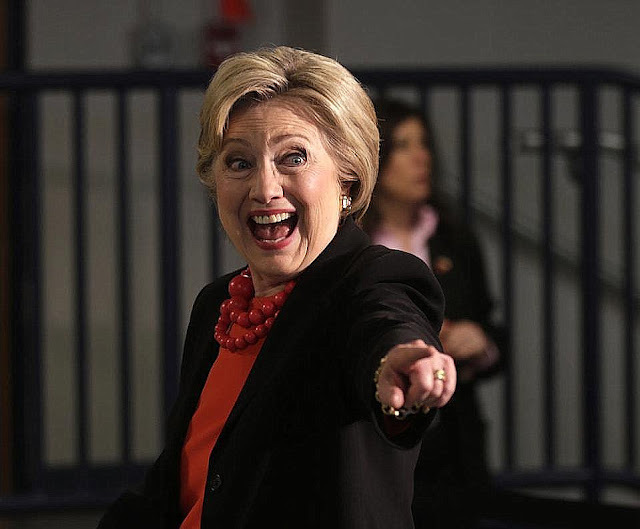 What would be the motive for Putin to drop this stink bomb on Hillary’s coronation? Certainly Putin has not been treated harshly by this Democrat administration. This administration gave up the missile defense site in Poland in exchange for nothing. It cut American nuclear warheads beyond those negotiated with the Russians, just to be nice. It failed to react when Russia grabbed Crimea. It failed to provide defensive weaponry to Ukraine to counter Russian insurgents. It failed to challenge Putin ally Assad when he defied the red line and continued to use chemical weapons. It antagonized Egypt and Saudi for playing footsy with Iran, reducing what little influence the US has in the Middle East. Putin is now the go-to person to get anything done in the Middle East. He couldn’t have asked for a more pliant administration. If anything Putin would love 8 more years of the same. So scratch the idea of Putin having a motive. Next, if not Putin, whodunit? Most likely Israel. 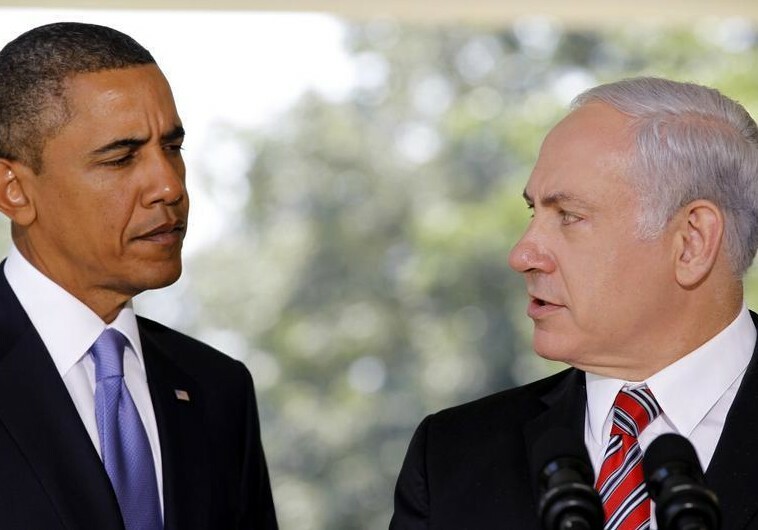 To say relations between Obama and Netanyahu are chilly is an understatement. Any picture you see of the two together shows it. Neither can hide it. They bristle. What are the reasons? There are many. But the biggest insult is that Obama appeared to meddle in the Israeli elections a year ago. Obama’s former campaign national field director, James Bird, went to work for an anti-Netanyahu political organization, V15 (Victory 2015) whose slogan was ABB (Anyone But Bibi). This wasn’t the first time Democrat election operatives had worked to unseat Netanyahu. James Carville, Clinton’s chief campaign strategist worked against Netanyahu in 1996 in support of Labor’s Shimon Peres (unsuccessful) and in 1999 in support of Labor’s Ehud Barak (successful). In all three cases, Netanyahu felt they were there at the behest Obama and Bill Clinton. Turnabout is fair play in politics. FBI Director Comey is looking into the source of the leaks. CrowdStrike an organization hired by the FBI and the DNC quickly pointed the finger at Russia, citing malware in the DNC servers consistent with Russian techniques. Rush Limbaugh yesterday speculated that it might be a planted false flag. Late in his show he interviewed a college senior majoring in computer science who admitted he has done some hacking. He said you always cover your tracks and leave no traces. Rush ran out of time to finish the interview but he said he would do another on today’s (July 27) show. We may never know the source for sure, but I will bet Bibi is having a good chuckle right now. Much has been made over Hillary Clinton’s prolonged hospital stay for a concussion in December 2012. 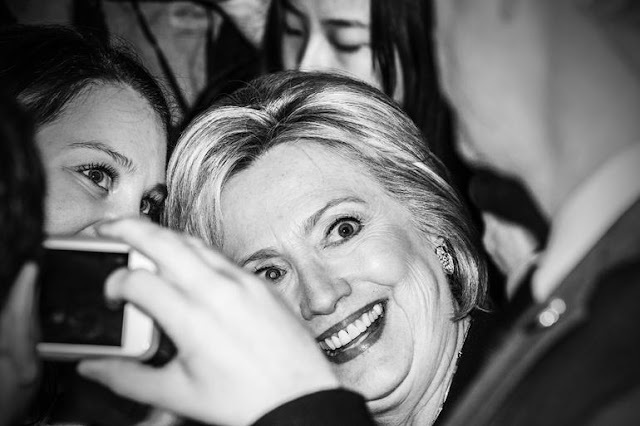 But recent photos during her campaign show her cross-eyed. Here are some photos that show the situation. It is doubtful they were Photoshopped. Two were taken by an MSNBC photographer and published on the MSNBC’s website. The most recent one is a color AP photo carried by Drudge today (4/02/16). Is the Republican Party looking a gift horse in the mouth? The Republican Party is facing a crisis. It has a candidate who is likely to win the nomination and could very well win the Presidential election. Yet they are doing their very best to see a repeat of the past two presidential cycles – nominating uninspiring candidates who have no chance of winning. The RNC would rather have a Democratic president than support a reformer who would change the corrupt political structure of Washington. And they ignore the will of the people who are desperate to see that change happen. You have to understand the psyche of people in power. Their prime motivation is to keep themselves in power. They pay lip service to voters, but do their utmost to entrench themselves. It is true for both parties. All are happy with gerrymandered districts. All are happy with playing the game of favoring companies or unions with beneficial legislation in exchange for campaign contributions that makes their seats safe. And it’s not just elected officials. It is the press who enjoy the prestige of getting the interviews outsiders can’t get. Playing footsy with the power structure has its rewards, even if they have to ignore stories like John Edwards, and his mistress and love child during the 2008 nomination process. It took the National Enquirer to break that story, not the NY Times or the LA Times. Donald Trump has caught the imagination of not only conservative Republicans, but the country as a whole. When was the last time 25% of African Americans favored a Republican candidate? The RNC has never had an action plan to do that. Yet it is happening. The RNC is staring victory in the face but aiming for defeat. Its godchild Jeb Bush is facing a 7% polling number, a quarter of Trump's. He has tons of campaign money but it’s not working. He has loser painted all over his face. He is another McCain and Romney, and he will suffer the same fate. Even worse, if the RNC purges Trump from the party and loses the election, there will be a new third party. They haven’t factored that in, but it will happen. The Israeli intelligence blog Debka File reports that pro-Iranian Houthi troops have taken over control of the strategic straits (Bab el-Mandeb) at the southern entrance to the Red Sea. Possession of this choke point threatens all commercial and military maritime traffic from the oil rich nations bound for the Suez Canal and the Mediterranean. Control of the Red Sea Bab el-Mandeb Straits passed Tuesday, March 31 to pro-Iranian Yemeni forces when the Yemeni Army’s 117th Brigade loyal to the former Yemeni President Ali Saleh handed positions guarding the waterway to two Houthi commando battalions trained by Iranian Revolutionary Guards. This is revealed by debkafile’s military and intelligence sources. The article goes on to say Iran is sending naval forces to the Straits to reinforce and protect the Houthis from an anticipated Egyptian/Saudi effort to dislodge them. This could provide the first direct military confrontation between the Saudis and Iran, who up to now has operated only through surrogates. On another front, the same article states unknown aircraft (possibly Egyptian or Israeli) attacked a weapons depot in southwest Libya that held Iranian supplied munitions destined for Hamas in Gaza. In another development Tuesday involving Iran’s spreading tentacles, debkafile’s military sources reveal that unidentified aircraft bombed Burak, a small military base in the Fezzan province of southwestern Libya, which serves Iran as a transit store for arms purchased in Sudan for the Palestinian Hamas. The weapons, which recently reached the Libyan base through Chad, were destroyed. At the heart of all this mess is Iran. Yet the US continues to treat them as a friendly nation in the nuclear talks. The administration exhibits a willful blindness to Iran’s aggression. It will come back to haunt us. Google Barge … A floating data center? A wild party boat? A barge housing the last remaining dinosaur? Sadly, none of the above. Although it’s still early days and things may change, using the barge as an interactive space where people can learn about new technology we’re exploring. Earlier versions of the barge story were leaked by “authoritative” anonymous sources (supposedly from Google). They described the barges as floating sales area for Google Glass, with a VIP suite atop. But the story is breaking down. It is breaking down because the lease for Hanger 3 on Treasure Island states it is to be used exclusively for “fabrication of a special event structure and art exhibit only and for no other purpose” according to the Tech Crunch article. Google’s initial story didn’t fit that requirement. Sticking to the it could have jeopardized the lease and stopped the project cold. At the heart of the controversy is the ineptness of the cover story, and the handling of the entire supposedly hush-hush project. If you want to maintain a low profile, you don’t build a monstrous oddball structure next to a bridge within view of several hundred thousand people a day. It all broke down when some folks wondered if a permit had been issued to moor in San Francisco Bay. The barge owner, Buy and Large, did not have one. At that point the story broke in the media and went viral. The latest pronouncement dampens speculation, but leaves unanswered many others. The first question is, is this a Google project or a government project using Google for cover? Given the proclivity of this administration for ineptness, my vote goes to the government. Cover stories for top secret marine projects are not new, and some have been tremendously successful as well as well hidden. The most famous took place almost 40 years ago. Then a ship ostensibly built by reclusive billionaire Howard Hughes was to be used to search for and mine manganese nodules from the sea bottom over 3 miles deep. The ship, the Glomar Explorer set sail in 1974 amid a storm of controversy of who owned the sea bottom and who could mine it. The UN got involved claiming the sea bottom outside nations’ 200 mile economic zone belonged to it. It claimed it should have sole authority for licensing and royalties. The noisier the controversy, the more it masked the true purpose – to raise and salvage a Soviet missile submarine from where it sank beneath 16,000 feet of water in the North Pacific in a project codenamed Azorian. Let’s first look at the cast of characters for Google Barges: There are 4 barges under construction. They are registered to a Delaware corporation Buy and Large LLC, a shell corporation thought to be owned by Google. Two of the barges are registered as passenger barges. These are the two seen with superstructures made of modules/containers. There are minor differences between the two. The California barge appears to be made with a larger number of “containers” than its Maine counterpart. The California barge has 12 “masts” installed where the Maine item does not. The other two barges are registered as cargo barges, one at Treasure Island, just beginning alterations and the other located at New London, Connecticut. The two passenger barges are 260 ft. long with a beam of 72 ft. The two cargo barges are ten feet shorter and have the same beam. Google Earth imagery gives a good look at the two California barges, plus a surprise pier mate. Barge A is registered as a cargo barge. There is no activity on it as of the April 16, 2013 imagery. Barge B, a passenger barge, is in the very early stages of construction with painted outlines for positioning the modules. Barge C is one of the most unusual marine vessels ever conceived. It is the HMB-1 (Hughes Mining Barge), a submersible floating drydock with a retractable roof. It is no stranger to black ops. It was designed to work with the Glomar Explorer in Project Azorian. It covertly transferred the monstrous “claw” to the underbelly of the Glomar Explorer from a submerged position. And it may have been intended as the covert receptacle for the Soviet sub once retrieved. The claw is what clamped around the Soviet sub to raise it. The sub however never made it to the US. It fell from the “claw,” but only after much was retrieved from Soviet sub. In its second life HMB-1 covertly housed the highly classified experimental stealth ship, the Sea Shadow, designed and built by Lockheed in the 1980s. So why was the HMB-1 at Treasure Island at the same time the Google Barges? Good question! It may be coincidental, but it makes you wonder. Here’s the story: It was purchased by Bay Ship and Yacht Corporation of Alameda last April (2012) as part of a deal to scrap the Sea Shadow inside. The Hughes barge has been refurbished and made operational at Treasure Island and then transferred in June 2013 to Bay Ship’s yard in Alameda. Sounds good? Well chew on this little factoid: The Google barges have a length and beam of 260 ft. x 72ft. which conveniently fits the 280 ft. x 76 ft. well dimensions of the HMB-1. Could there be a connection? Your guess. It is difficult to conceive the barges as a Google project. The story keeps changing. And the multi-billion high-tech firm simply wouldn’t use a rusting barge to do high tech research or operate a training center. It doesn’t fit its image. More likely it is some government project to be kept under wraps until later. What is the project? Island Turtle doesn’t know? Several come to mind. But none fit conclusively. I’ll review three of them, but it is more likely some other project we simply don’t know about. Here are some thoughts with pros and cons. 1. A mobile command center for Homeland Security in the event of a WMD (terrorist or missile) attack on a coastal city. Pros: Homeland Security is awash in money and taking its job seriously. It conducts communications and civil unrest exercises with local police in major urban areas. Miami and Chicago are two recent examples. Some of its mobile communications equipment is awesome (see photo). Being able to cruise up to the shore of a paralyzed city and disgorge vehicles would be an asset if roads were jammed. Cons: While potential prime east coast targets are fairly closely spaced, Boston to Washington, the major cities on the west coast are widely spaced. It would take several days to move a barge from San Francisco to San Diego. Heavy winter storms could halt movement. 2. A floating mobile ballistic missile defense system. Pros: The Air Force Mid-Course Ground Based Interceptor system is in trouble. The updated version scheduled for production has had multiple failures. The US Navy’s Aegis/Standard Missile has had an excellent track record and newer versions will have a capability to intercept ICBMs such as those North Korea and Iran are developing. A barge borne version using off the shelf vertical launch hardware would add mobility to the system and hinder accurate targeting of them. 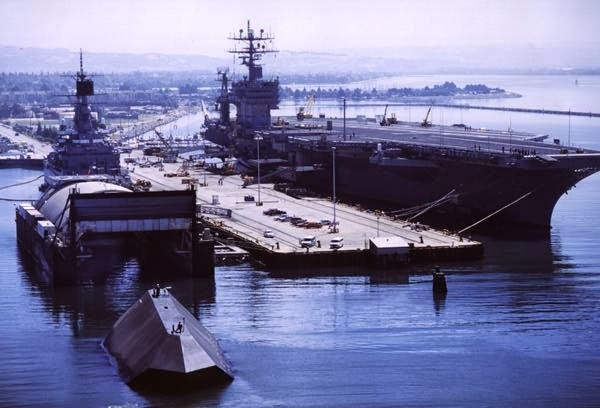 Such a system would keep navy missile armed destroyers and cruisers from being tied down with defensive work. Several studies have recommended missile defense armed barges be used in Europe by Europeans for the same reasons. Barges are much cheaper. Cons: The square footage of the barge superstructures is far in excess of the needs for a launch crew. And despite their mobility, barges are easy to spot with satellites. Security for a floating barge is more difficult than for a land based version. 3. A floating replacement for the prison at Guantanamo Bay. “Coast Guard Sector Long Island Sound took part in a conference call on July 1 with a naval architect, a marine transportation company and Michael Tierney, of Google Glass, to review the plans. The purpose of the vessel is not described in the [FOIA] documents, but they reveal a plan to operate the vessel in various ports, the first being New York Harbor." Editor’s note: The last sentence of the quote above has been edited out of The Day story. It was found here, quoting the original version. Cons: Would Google lend its name in any way to a prison ship? I think not. Would floating prison ships allow the administration to bypass federal law forbidding the use of federal funds transfer of prisoners from Guantanamo to the US by shortstopping them to barges just offshore, but in international waters? At some point we will know the answer, but number 3 makes the most sense now. Now that’s the way to reach low information voters! But how could Republicans get so lucky? Well, it’s probably not luck. It’s most likely a sign there is bad blood boiling up between the Clintons and President Obama again. Possibly Hillary is being prepped to be thrown under the bus for the Benghazi affair And Bill Clinton may be using his surrogates to express his displeasure – this one being political ally Roger Altman and his tabloid the Globe to send a message. I have no relationship with the president — none whatsoever. Obama doesn’t know how to be president. He doesn’t know how the world works. He’s incompetent. He’s an amateur! This blog has said before there is no love lost between the Clintons and Obama. Bill Clinton simply can’t stand him. It all goes back to the presidential primary campaign, where on several occasions Hillary was branded a racist. That is an unpardonable sin in blue on blue confrontations. Likely there will be more to come. Throwing a chill into the press … The administration’s latest tactic. The Justice Department’s monitoring of the AP’s phone records is one of the most bone headed moves of this administration. And to announce it on the heels of two major scandals seems to defy logic. But does it? The only thing standing in the way of a torrent of whistle blowers, purloined emails and first hand testimony has been the pliant and fawning media. They have ignored blatant falsehoods, obvious phony cover stories and have not followed through on potentially explosive stories such as Fast and Furious. With few exceptions, the established media has been an effective shield protecting those senior level officials who are the motivating forces in this thuggish and deceitful administration. But with the Benghazi hearings and the disclosure of the IRS targeting conservative political groups, that protective wall is crumbling. At recent press conferences, Jay Carney has been pummeled. And the President knows he will come under fire in the IRS scandal. So how do you stop the potential Woodward and Bernsteins? In every administration there are disaffected people. Some are elbowed out, some tire of the job and some leave because of philosophical differences. Obama’s entire original White House financial team has left. There are 4 flag level military of former military, who were either relieved of command or forced out shortly after Benghazi. There are lower level folks who through gossip or otherwise, know where bodies lie. So the administration must throw a chill into potential sources, which is precisely what the Justice Department is trying to do. It is sending a message, Chicago style, saying we will know who you are and you will pay for it. Journalists and sources: Actually that may not work. If you have your cell phone with you, even turned off, you can be tracked. The best way is the US mail, either to you or a nearby trusted friend. Phone records require only a subpoena, intercepting mail requires probable cause and a court order. If I don’t have this done in three years, then there is going to be a one term proposition. Well said, Mr. President! We will take you at your word. Did Shieffer zing Candy Crowley last night? I think Bob Schieffer’s opening comments that he had not discussed his topics with either the candidates or their staffs was wholly appropriate after Candy Crowley’s obvious support for Obama in the previous debate. There has been suspicion in past debates of favored treatment and even coordination on the part of liberal moderators. Crowley’s interjection of “You are right Mr. President” has no place coming from an unbiased moderator. And it was especially inappropriate after being challenged by Obama to check the transcript, and she had that particular transcript. It was important that Schieffer clear the cloud of coordination and bias from the debates and he did it well. Vice President Joe Biden in last night’s debate said that while Iran may have the capability to enrich uranium, it does not have a warhead and does not present a threat. There are problems with his statement. 48. Information which the Agency has been provided by Member States, some of which the Agency has been able to examine directly, indicates that Iran has manufactured simulated nuclear explosive components using high density materials such as tungsten. These components were said to have incorporated small central cavities suitable for the insertion of capsules such as those described in Section C.9 below. The end use of such components remains unclear, although they can be linked to other information received by the Agency concerning experiments involving the use of high speed diagnostic equipment, including flash X ray, to monitor the symmetry of the compressive shock of the simulated core of a nuclear device. 49. Other information which the Agency has been provided by Member States indicates that Iran constructed a large explosives containment vessel in which to conduct hydrodynamic experiments. The explosives vessel, or chamber, is said to have been put in place at Parchin in 2000. A building was constructed at that time around a large cylindrical object at a location at the Parchin military complex. A large earth berm was subsequently constructed between the building containing the cylinder and a neighbouring building, indicating the probable use of high explosives in the chamber. The Agency has obtained commercial satellite images that are consistent with this information. From independent evidence, including a publication by the foreign expert referred to in paragraph 44 above, the Agency has been able to confirm the date of construction of the cylinder and some of its design features (such as its dimensions), and that it was designed to contain the detonation of up to 70 kilograms of high explosives, which would be suitable for carrying out the type of experiments described in paragraph 43 above. It may be that Biden is simply parsing words to convey a falsehood. When he says Iran doesn’t have a warhead, he may be technically correct because they haven’t yet enriched the uranium to weapons grade (80 to 90%). A warhead without the fissile fuel is not a warhead. But if the remaining components are tested and ready, all that needs to be done is fabricate the two hemispheric shells of U-235 and assemble them into the warhead. The other thing Biden misses is there is only a limited time of vulnerability for an attack to succeed. Once the centrifuges have enriched the gaseous uranium hexafluoride to the weapons grade and it has been converted to metallic form, it can be hidden almost anywhere. Only during the enrichment process, do we know here it is – most likely at Fodor, but possibly at Natanz. Both are underground enrichment facilities. Israel’s Prime Minister Benjamin Netanyahu has a much firmer grasp of the realities. The red line he refers to is when enrichment begins above the 20% level, warhead or no warhead. Last Friday (June 29) House Oversight Committee Chairman Darrell Issa pulled one off on AG Eric Holder. The lockup of Fast and Furious documents by the administration, many of which are under judicial seal, was shattered by his use of Congressional Immunity. Mr. Issa has received a number of leaked documents from unnamed sources. In particular he has copies of wiretap applications which put a lie to Holder’s contention that no senior officials at DOJ had knowledge that guns were allowed to walk into uncontrolled hands. 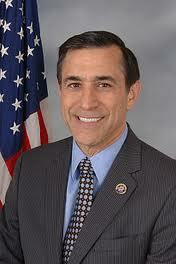 Issa has now opened a door that permits him get his leaked documents into the public domain legally and with impunity. Things began to unravel at Justice with the death of Border Patrol agent Brian Terry and when Republicans took the House in the November 2010 elections. Early the following year Issa began his investigation but soon much of the evidence was out of reach, placed under seal by the Inspector General at Justice. It remains so and will remain so as long as the IG’s slow moving investigation continues. And now President Obama has claimed executive privilege for documents published after the close down of the Fast and Furious operation. In particular Issa has sought information through subpoena powers that senior Justice officials knew of the of the gun running operation. He wanted the sealed wiretap applications which can only be authorized at the senior level at Justice. That was denied. But it turns out Issa was in possession of several of these documents, leaked to him by persons unknown. How Issa placed this information into the public domain is unique and legal, and no doubt has Holder and others in the administration squirming. On Friday June 29 Issa referred on the floor to a letter he had written a month earlier to Elijah Cummings, the ranking (Democrat) member of Issa’s Oversight Committee. The letter was a response to one Cummings had written him asserting there was no evidence to support the claim that senior Justice officials knew of guns being “walked” to straw purchasers. Issa in is letter quotes information obtained in six leaked wiretap applications, documenting that they indeed were aware of the gun walking operation. He then had his letter, containing portions of the sealed wiretap applications, read into the Congressional Record. It is available here. Members of Congress are constitutionally protected from libel suits and prosecution for statements made from the floor. In practice they are protected when making statements in the course of their work, when Congress is in session. Issa played it safe and did it all from the floor. And it must have Holder and other Democrats fuming. Undoubtedly, there is more to come. Issa likely has more leaked documents from his mole. And he now has a channel to place them before the public. Mao in all his wisdom wanted to build an industrial economy by uprooting peasants from their traditional lands and forcing them into self-sufficient people’s communes. 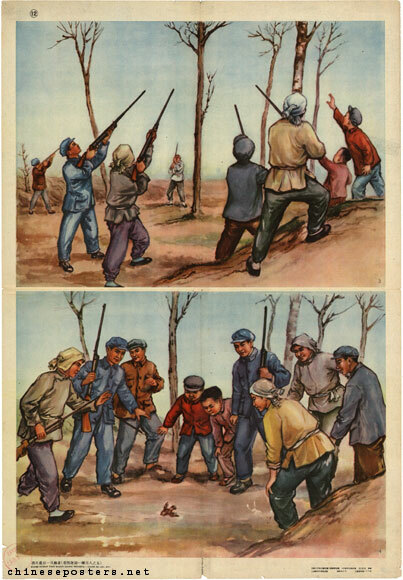 Farming was collectivized, Soviet style. But communes went beyond that. They were meant to be part of the newly industrialized economy. Steel production was begun in backyard furnaces diverting much needed labor from growing and harvesting crops. Coal to make coke was unavailable so they used charcoal made from trees, denuding the local forests. With no steelmaking expertise, the steel was of such poor quality it couldn’t be used. But the greatest damage was to agriculture. Poorly planned planting procedures were mandated by party officials in Beijing. As mentioned above, labor was in short supply because of steel making. There was no fertilizer. 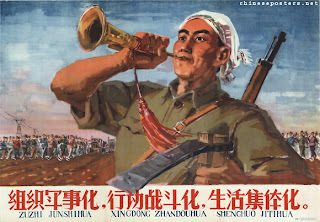 Typical of problems in a communist society the ownership of night soil, the common fertilizer of the era, came into dispute. Party officials said it was state property, the peasants claimed their own waste for their garden plots. The state won. 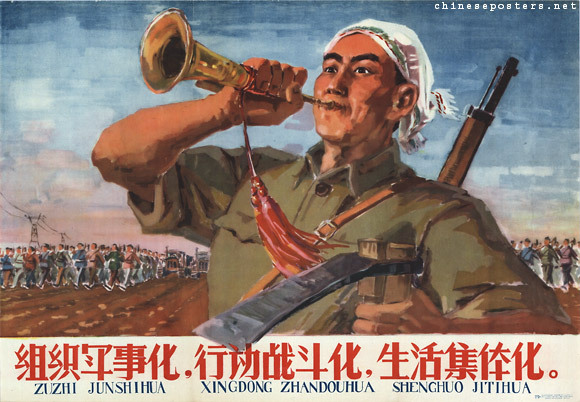 When locusts began destroying crops, China began a program of enlisting it’s hundreds of millions in the effort to kill and many as possible. That effort also included birds that were devouring the harvested grain. Unfortunately this ill advised program made a greater dent in the bird population than 0n insects. The results were predictable. Insects thrived without birds to control them. 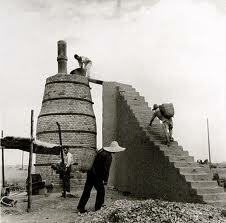 Despite the agricultural shortages, grain was sent to the cities leaving rural China to starve. And they did. You would think we should have learned our lessons by now that command economies simply do not work. But this administration continues to run hell bent into ideologically driven projects. It still promotes electric generation policies with costs double to quintuple existing methods. It pushes electric cars the public refuses to buy and it forces us to buy oil from unreliable nations who maintain a pricing cartel to keep prices high. But unlike China of Mao’s era and today’s, we still have the ability to vote these people out. Obama worshipers fell all over themselves when he offered food to N Korea. Wonder how they feel now? In researching Island Turtle’s article on the folly of President Obama’s agreement to buy the same horse twice (actually the third or fourth time is more accurate) with his 240 kilotons of food, for 8 months of good behavior (until the election) I was bowled over by the obsequious praise of The One by NY Times readers. It took only two weeks for young Kim to announce he was breaking the deal and 6 weeks to launch the rocket which ended in failure. And it now appears he will detonate a nuclear weapon to add an exclamation point to his defiance of Obama. Young Kim is now a big cheese with his flock, showing he has no fear of The One. Here are a few of the comments from the true believers. The Times’ article and complete comments are here, read them all if you can stand it. Yes there were some doubting Thomases who expressed concerns, but most were on the praise heaping side. I wonder if they have second thoughts now. This is welcome and encouraging news. If this is the result of a new leader in North Korea I am glad that this could happen. Let's build on this development to stabilize the region and hopefully strengthen our ties to the Korean people. Feb. 29, 2012 at 9:50 a.m.
You mean that the war hawks aren't going to shriek and stomp and demand that "we" bomb and invade North Korea? With its nuclear program as far as it is? Oh, I see. No oil. Wow...imagine that, a diplomatic breakthrough which didn't involve going to war. Are you listening, Iran? I'd imagine that those in the US who are beating the drums for war with Iran are not going to like seeing this news because it demonstrates that diplomacy can work - even with whacko dictators at the helm. This is encouraging. Way to go Obama administration..Let's build bridges that break down barriers one step at a time and count each victory, even though small, as progress in the right direction. This is a win win for USA and the world. God Bless Obama - seriously people, it does make a difference that's he's president. I want to congratulate HILARY CLINTON for her extraordinary work over the past three years. President Obama, you made a terrific choice by enlisting her in the work. Feb. 29, 2012 at 10:07 a.m. This is a huge win for international diplomacy - to all those who say Obama doesn't have the chops- take a look at a surging auto industry, the justice brought to many terrorists, the opening of at least a small crack in the North Korean facade and many other small steps forward. Not perfect but damn good. Also, NK insisting on tying the food to the disarmament, it saves face. They can spin it so their people don't perceive thee government as weak - good politics. Feb. 29, 2012 at 10:31 a.m.
Another example of this government working quietly, professionally, behind the scenes, to make small improvements around the world. I'll never forget watching the "Correspondents' Dinner" and Obama's hilarious speech, and finding out the next day he knew all the while that we had just gotten bin Laden. And he never said a word. He must have been BURSTING to tell, but he didn't. Very professional. Never saw Bush do ANYTHING comparable. Of course there's so much stuff going on behind the scenes we'll never know about, but that's just the world we live in. Good victory for Obama and Secretary of State Clinton. Feb. 29, 2012 at 10:32 a.m. This is triumph of diplomacy and sane thinking over sabre rattling which hopefully will add to promise of less nuclear weapons and a safer world for all humanity. We can praise President Obama and his administration for engaging North Koea in a way that lead to today's announcement that will open North Korea's nuclear facilities. China and Russia had much more leverage to engage this secretive nuclear country but it seems that their policies toward North Korea were only facilitating the late Kim Jung-il to increase his nuclear military arsenal while starving his people and depriving his country of much needed money and revenues used to buid and maintain his nuclear arsenal and facilities instead of making sure every North Korean citizen had enough food to survive. I hope that Republicans are not going to use this opening and try to point at President Obama as being weak on defense and caving to North Korea's traditional threats and chest beating. It is in everybody's interest that this openeing, "although limited" be used to continue to engage Korea's new leader in a face saving and not try to humiliate him and his people by blocking food aids in order to get more demands and risk going back the terrible policies of the past. Russia and China should also send positive signs to encourage North Korea to continue in this deirection. They must show clearly to North Korea will benefit from taking further steps similar to the change of mind they just demonstrated. After blocking twice the UN's Security Counsel votes against Syria, Russia and China must demonstrate they are not only mentors for crual dictators. Feb. 29, 2012 at 10:33 a.m.
How true! You can bet that the Republican candidates will denounce this as another enormous mistake by Obama. But at least no-one will have to explain to Herman Cain where N. Korea is located. A step at a time. Good work by the Administration. Hillary Clinton is doing such a great job -- she is completely inspiring. The Republican candidates for all governmental offices can yap all day long about the social agenda they want to foist on the US, but nothing will overshadow the accomplishment of getting the worst rogue nuclear power in the world to stop its weapons development programs. Why? North Korea can blow up parts of Japan, South Korea, and the US, including large population centers, easily. If the new "dear leader" has the sense to take aid in exchange for peace and stick to the agreements, then real progress has been made. The trouble on our side has been the right wing ideological idiocy of Bush and others in refusing to meet, much less negotiate, with North Korea. The trouble on their side has been similar ideological volatility. Combine those two ideologies and you get only closer to danger. As a country we must be vigilant and ready to meet any military threat, but must equally be ready to make peace. This is a great accomplishment for America and our current President, even if it is only an incremental step. Final comment by Island Turtle: Eat your words liberals!